What Do the BJP and Congress Manifestos Promise on Security and Foreign Policy? The BJP kept with its basic thrust to make Narendra Modi the core of its election campaign, it is exactly this focus that the Congress has criticised. The essential purpose of pre-election political party manifestos, including their segments relating to foreign and security policies and proposed actions, is to consolidate their respective electoral constituencies and to gather more voters to their fold. They are therefore necessarily competitive political documents. In the case of a ruling party, it outlines inter alia achievements; opposition parties’ manifestos criticise policies and actions of a ruling party even while providing an indication of what they would do if voted to power. Thus, manifestos are not comprehensive policy documents but are nevertheless important for they offer insights into overall approaches and thinking. What can be discerned from the BJP and Congress manifestos regarding foreign and external security issues? In keeping with its basic thrust to make Narendra Modi the core and centre of its election campaign, the BJP president claimed, “Under the leadership of Prime Minister Narendra Modi, we have been able to make an India that our friends praise, our competitors respect and our enemies fear”. It is this focus on Modi that the Congress has criticised. 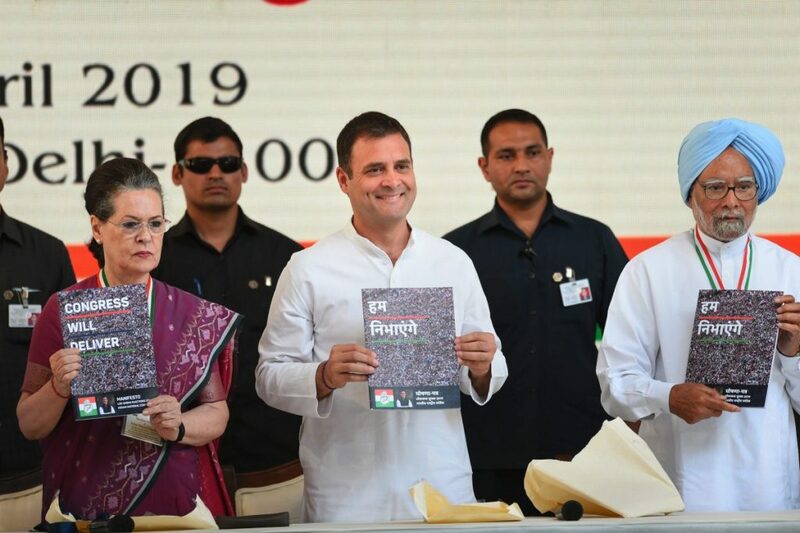 Its manifesto notes, “Unfortunately foreign policy under the BJP has been reduced to the whim of one man…” It contrasts this with the evolution of foreign policy in the past “through the collective wisdom of far-sighted leaders”. Is it correct that Modi has acted alone while Congress prime minister relied on collective decision making while forming foreign policy? Foreign policy remained the exclusive domain of Jawaharlal Nehru and there is no evidence of “collective wisdom” contributing to its formulation. Indira Gandhi relied on a set of advisors in taking foreign policy decisions, but they were not ministerial colleagues and, hence, cannot be called ‘leaders’. Manmohan Singh took crucial foreign policy decisions to the cabinet committee on security and did not push his way through if his powerful ministerial colleagues opposed a proposal. However, even he, was virtually alone, in ensuring that the Indo-US nuclear deal went through. The fact is that the foreign policy of almost all countries bears the stamp of the head of government and India has been no exception. While promising to reverse the “damage” caused by Modi’s “transactional” policy characterised by “flip-flops”, the Congress wants to “repose faith in our diplomatic corps to advise on, formulate and conduct foreign policy”. This is without doubt how it should be. The question is why has the Congress found it necessary to explicitly mention it. Clearly, the unstated premise is that this has not been done by Modi. There has been wide-spread perception during these Modi years that the foreign office has not been allowed to play its mandated institutional role. Also, that external affairs minister Sushma Swaraj was side lined and that the National Security Advisor (NSA) Ajit Doval’s shadow loomed large over critical foreign policy making. The institutional structure of Indian foreign and security policy making has changed since the establishment of the office of the NSA supported by a National Security Council Secretariat (NSCS). Naturally, there is a component of security in core foreign policy issues and external security cannot be divorced from diplomacy to achieve its objectives. There is thus an overlap which is a cause of confusion and bureaucratic tension. Consequently, institutional functioning has suffered. It was so earlier in the UPA years and it has been so in the Modi years also, except that in the latter, the NSCS has been enlarged and retired officers with intelligence backgrounds occupy greater space and enlarged roles. This is perhaps because of the intelligence background of Ajit Doval. It is surprising that for a party which has made national security almost the core of its election campaign, the BJP has ignored the institutional basis of decision-making on security issues. On the other hand, the Congress has pledged to provide a basis “under the law” for the office of the NSA and the NSCS making them accountable to parliament. This is a welcome commitment but the basis of this accountability as far as possible will have to be insulated from partisan politics. If such structures are to be considered, then some form of parliamentary oversight over the intelligence agencies can follow. The lesson of the partisan political discourse after the Pulwama terrorist strike is that parliamentary mechanisms for confidential professional briefings from the defence and security institutions have to be put in place. That will bring about a greater awareness and sense of responsibility in the political class on these matters. The Congress wants to strengthen the National Security Advisory Board (NSAB) and provide it a statutory basis so that it becomes “a permanent, professional advisory body advising the NSC and the government”. 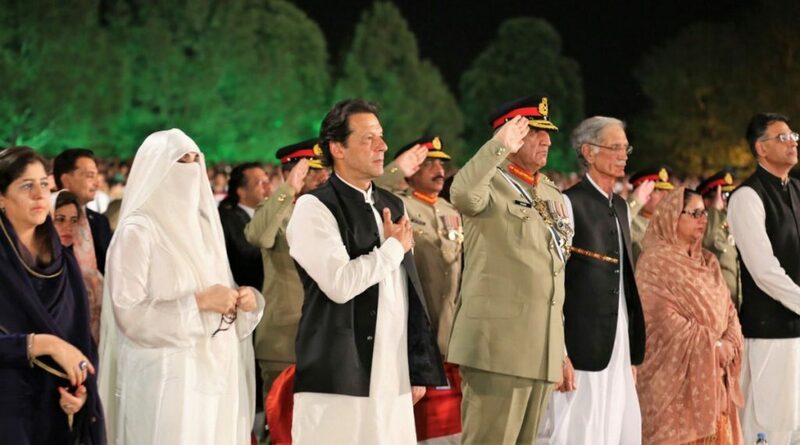 At the same time, it proposes to set up a National Council on Foreign Policy consisting of “members of the Cabinet Committee on Security, scholars, domain experts and diplomats to advise the government on matters concerning foreign policy”. NCFP, as proposed, will be neither fish nor fowl; it is misconceived on several counts. CCS members are decision makers and their presence in an advisory body would both inhibit them and non-official members. More importantly, it would be difficult to draw a line in the work to be undertaken by the NSAB and the NCFP. Indeed, as noted earlier a distinction between foreign policy and security issues is almost impossible to make. Clearly, the presence of CCS members will give the NCFP a security orientation and economic and cultural diplomacy issues will be relegated to lesser priority. Hence, the idea of such a NCFP needs to be thought through. The BJP proposes to establish a ‘university of foreign policy’. It will focus on academic study and research on foreign policy and geo-political issues relevant to India and capacity building of our and friendly foreign diplomats”. It is not clear if the idea is transform the Foreign Service Institute into a UFP for the institute which is the professional school of the Indian Foreign Service undertakes courses for foreign diplomats as of IFS officers. The study of international relations has to be broad-based especially as India is emerging as a global player. Naturally, any international relations school located in an Indian academic institution will have an Indian orientation; this is so even with the out of favour JNU, whose School of IR is the country’s premier and leading institution of its kind. If the UFP is to focus on Indian notions of inter-state relations and diplomacy, it should not be limited to ancient India but embrace later periods too, for there is much to learn from all of India’s history. Obviously for both parties, manifestos are not an occasion to focus on bilateral ties with any country because the electorate is, they presume, not interested in specific relationships. The Pakistan relationship too is ignored, except by the Congress in the context of terrorism. Both want to use the international community to act on India’s behalf against Pakistani terrorism. The Congress states so pointedly; it wants to “persuade other countries to compel Pakistan to end its support to terrorist groups’’. The BJP does not mention Pakistan, but its target is clear when it states that it will work to isolate countries that support terrorism. 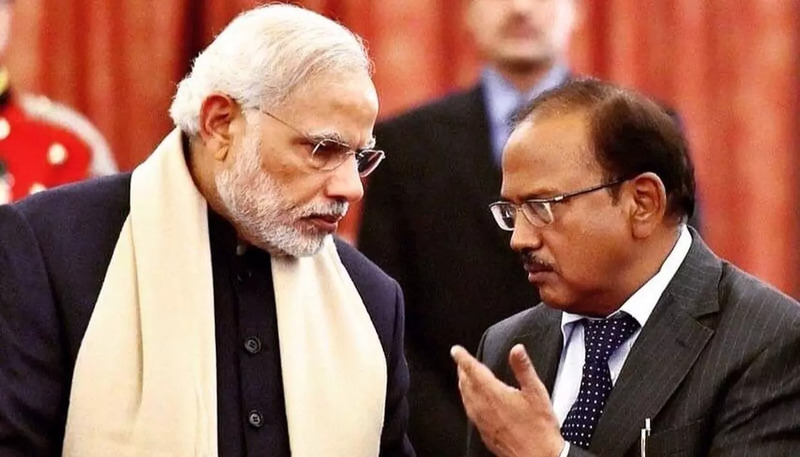 The fact is that after the Balakot strike and the Pakistani counter, the major powers realise that Modi has changed the concept of ‘escalation’ and are pressurising Pakistan to abandon terror. But ultimately, India has to act alone and raise cross-border terrorism to a strategic challenge. Neither party seems willing to do so. Predictably, the BJP seeks to draw inspiration from classical Sanskrit dictums for its vision of foreign policy and stresses India’s soft power. The Congress traces the founding principles of foreign policy to the freedom movement though it does not overlook the projection of soft power. The Congress also pays its ritualistic obeisance to non-alignment, while the BJP does not mention it at all. Again, given its traditional focus on the Indian diaspora, the BJP devotes an entire paragraph to strengthen the country’s connect with it while the Congress entirely ignores it. The diaspora can be an important bridge between India and some countries but its interests and those of India do not necessarily coincide. Interestingly, both parties want India to become a member of the UN Security Council. Both pledge to “intensify” (BJP) or “re-double” (Congress) efforts for this purpose; presumably both know that this will not happen anytime soon. But then manifestos are not documents to make careful assessments on such issues. Both parties also pledge to enhance India’s regional and multilateral engagements. Happily, both parties agree on the need to increase IFS’s strength and both want to induct “experts”. Presumably, this will have to be through lateral entries. The case for a rapid augmentation of the number of our diplomats is clear. The service is woefully small and yet has acquitted itself very well in safeguarding and promoting the country’s interests. Its members have cheerfully borne enormous workloads because of its small size. The intake of officers is increasing but no drastic overhaul of the IFS is possible because of its inextricable linkage with the IAS in its service conditions including promotions. The fact is that the Indian bureaucracy, of which the IFS is a part, as a whole needs to shed its Raj inheritance and be fashioned anew, but that is not happening and no party is looking at it. A final word: the Congress complains that the Modi flip-flopped in foreign policy decision-making. So did it throughout the Manmohan Singh period. The Congress accuses that Modi’s foreign policy was “transactional”. Is that not the nature of all external relations which are always based on interests, pious words notwithstanding? 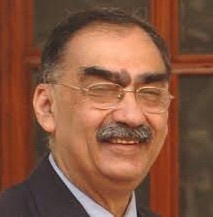 Vivek Katju is a former secretary in the Ministry of External Affairs who served as India’s ambassador to Myanmar and to Afghanistan.